“American citizens and Legal Permanent Residents” are put at great risk of false abuse allegations because it is not “cost effective” for the U.S. government to have the safeguard of a thorough investigation when there is potential marriage fraud. In fact, it is NOT permitted by law. Also, the statement alone from the foreign national spouse attesting to abuse has enough merit to grant the petition for the Green Card. Whereas the statement from the U.S. citizen spouse in defense of the allegations and evidence for such has no merit to the USCIS and are ignored. If that’s not injustice, I don’t know what is. Immigration Marriage Fraud is still; “SUPPOSED TO BE” Illegal in the United States. Perhaps someone should inform U.S.C.I.S and VAWA that it is. It’s an unfair system, a very flawed system that ONLY benefits illegal immigrants…NOT the U.S. Citizens that are being or have been scammed and conned out of their money, time, emotions and physical well-being. It’s an injustice that should never go without investigation; thorough consideration or even the slightest review no matter what. Illegal women come to the U.S. with (PLANS) to quickly marry an American man so that they can gain citizenship (in some cases), MOST OF THEM, will yell abuse. That’s MUSIC TO VAWA’s (Violence Against Women Act) ears. Citizenship? GRANTED! No police report has to be filed. @Jack Reed —Have you wondered what the U.S. Department of Homeland Security’s, Benefits Granting Folks (USCIS), consider to be MARRIAGE FRAUD? 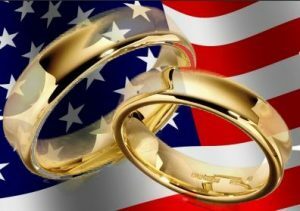 Marriage fraud is a common and widespread method used by aliens who seek to fraudulently acquire permanent resident status via marriage to a U.S. citizen or Lawful Permanent Resident (LPR). It is often accomplished by colluding with a U.S. citizen or LPR who is willing to enter into a fraudulent marriage with the alien for financial gain or other compensation. In some instances, the USC or LPR spouse is not aware that he/she is participating in marriage fraud because he/she is not aware that the alien married him/her for the purpose of evading the immigration laws. For example, the USC or LPR spouse may be unaware that the alien was in a committed relationship and temporarily separated (either informally and/or legally) from that person in order to gain status in the United States. In these situations, the alien will often “reconnect” with their “separated” spouse upon the conclusion of their status granting marriage. I-130 Petition for Alien Relative; (Wilto Angervil was caught forging my signature to Petition “HIMSELF” into the U.S. and got it approved!) I reported it immediately to USCIS; dozens of times since 2013. Unfortunately, the horror stories ARE REAL! and, as soon as an alien (male or female) files VAWA, ALL evidence against them is null and void! THAT is the reality.. as it currently stands. VAWA needs to be eliminated! The amount of fraudulent claims by aliens FAR exceeds the number of legitimate filings of abuse. If abuse occurs by either the alien or the USC petitioner, that MUST be adjudicated on a case-by-case basis, with BOTH sides able to provide evidence. Until that happens, the abuse of VAWA will continue, and the rights of U.S. Citizens will continue to be ignored by USCIS! The Truth About USCIS: Before the U.S. Department of Homeland Security existed, Immigration was handled by the Immigration & Naturalization Service (known as the INS). After 9/11, when the U.S. Department of Homeland Security (DHS) was formed, the INS was abolished. The various components of the INS were apportioned to other agencies/divisions. Why is this important? Because the INS used to have its own prosecuting attorneys, criminal investigators, deportation officers, and adjudications officers. The breaking up of the INS, sent the prosecuting attorneys, criminal investigators, and deportation officers to Immigration & Customs Enforcement (known as ICE). The adjudications officers (the ones who interview and grant benefits) to a new division (known as the U.S. Citizenship and Immigration Services (USCIS). USCIS has NO prosecuting attorneys, NO criminal investigators, and NO deportation officers. In fact, they have NO ONE, with arrest powers or the ability to investigate criminal cases. USCIS was giving away the candy store for years, until they realized that they needed SOMEBODY, ANYBODY, to give them the appearance that they wanted to combat fraud. So, they invented a division within USCIS to investigate fraud, and gave those officers assigned to the division, NO teeth to enable them to do their jobs efficiently. These small number of officers had NO Law Enforcement authority, NO arrest powers, and were not even allowed to protect themselves (issued body armor, Lethal or even Non-Lethal Force tools). They were simply supposed to review files, interview, maybe actually visit petitioners/applicants, but had NO authority whatsoever. Their job was to give the adjudication officer as much information as possible, in order for them to make a decision to either grant or deny the benefit. So now you know the truth about USCIS. And that truth is that they are NOT interested in fraud. If they were, they would have insisted on their own enforcement entity, like the old INS had for decades. Have you wondered what the U.S. Department of Homeland Security’s, Benefits Granting Folks (USCIS), consider to be VICTIM AND WITNESS-BASED FRAUD? Victim and Witness-based fraud occurs when an individual fraudulently and inappropriately claims to be a victim or witness in order to obtain an immigration benefit (for example, an S-, T-, U-visa) or through classification as a Violence Against Women Act (VAWA) self-petitioner (defined at 101(a)(51)). For example, the person committing the fraud may have entered the relationship “with the specific intent of portraying themselves or their child as a victim” in order to obtain the benefit. Those committing victim-based fraud sometimes make false allegations regarding abuse of their children as part of (or the basis) for their fraudulent claim. The “alleged perpetrator/abuser” may or may not knowingly be a party to the fraud scheme. • VAWA fraud occurs when an individual falsely claims to have suffered domestic violence in order to obtain classification as the abused spouse, parent, or child of a U.S. citizen or the abused spouse or child of an LPR. This fraud also applies to an individual who falsely claims to have suffered domestic violence in order to have the conditions on his or her residence removed or to adjustment of status under the Cuban Adjustment Act (Public Law 89-732), section 902(d)(1)(B) Haitian Refugee Immigration Fairness Act of 1998 (HRIFA), or section 202(d)(1) of the Nicaraguan Adjustment and Central American Relief Act (NACARA). @Dave Root –NBC 4 Washington affiliate reports on a relatively unknown loophole in the Violence Against Women Act that allows alien brides to claim abuse in exchange for lucrative immigration benefits with no hard evidence or witnesses and no physical injury required. This is a racket!!! What’s the next step…??? Imprisonment for American citizens who withdrawal their affidavit of support from their deadbeat alien spouse fraudster? This is alarming because immigrant spouses are suing for the continuation of financial support in state courts. Now that the courts have declared that immigrant fraudsters can force their American spouse to support them what’s to prevent the various states like California from invoking laws with severe punishments for American citizens that fail to pay their affidavit of support obligations, with similar consequences for failure to pay “child support”. The implications are ominous because 50% of marriage visa sponsors are American women who could be implicated as a “deadbeat mom” in a court of law and imprisoned for failing to support their abusive immigrant spouse. This is a racket!!! http://www.i-864.net/how-we-help/ Immigration Support Advocates was formed solely for the purpose of forcing an American spouse to pay subsidies (per I-864 contract) to an immigrant spouse who may be a scammer. “If the defendant (American citizen or resident) is unwilling to enter into negotiations we file a lawsuit on our client’s behalf”. THIS APPEARS TO BE AN IMMIGRATION RACKET!!! The Violence Against Women Act has a nefarious immigration section that empowers nefarious foreign con artists. The IMBRA dating law passed during VAWA 2005 shockingly requires American citizens to submit their sensitive private and criminal information to a foreign dating client at the initial stage of a casual friendship, which is the initial stage of a dating or marriage relationship. The proponents of this bizarre law somehow convinced Congress that Americans who use personal introduction sites to communicate with foreigners living in Russia or China would automatically result in a marriage visa. This law regulates COMMUNICATION, NOT IMMIGRATION and the term “marriage broker” was fictitiously used to suggest that personal introduction sites are somehow involved in trafficking- which they aren’t. Giving such highly sensitive and personal information empowers foreign scammers or criminals to misuse this information so they can harass and threaten or even blackmail American citizens, while the second class American citizens are banned from reviewing their criminal history while they commit marriage fraud crimes. IMBRA also mandates a database tracking the number of fiancée visas petitioned by each US citizens. Why should the US government be tracking US citizens while turning a blind eye to immigrant marriage fraudsters. This is Crazy! The contents of this website, such as the attached public records, text, all graphic and non-graphical images, videos, emails and other material contained in its (“Content”) are for the exclusive use, benefit and knowledge of legal cases (past, present and future); for investigative and informational purposes of Homeland Security, U.S.C.I.S, F.B.I. State Government, U.S. Immigration Judges and U.S. Congress/U.S. Attorney General wishing to view evidence (in the sole possession) of the Owner. Further, the (“Content”) of this site and its entirety will remain active and/or password protected until and unless one or all of the above entities request its release. Further hacking of this site and those responsible for hacking this site “WILL BE SOUGHT OUT” and prosecuted to the fullest extent of the law. People will do ANYTHING to (“hide their double life and illegal immigration secrets”).